25th February. 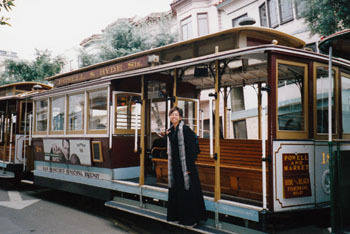 I flew from Sydney to San Francisco where I met Tammay. Tammay catches a ride on the Powell & Hyde. 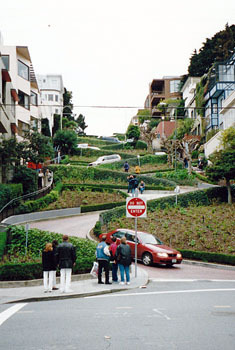 San Francisco's Lombard Street has earned the nickname of "The crookedest street in world". It isn't hard to see why! 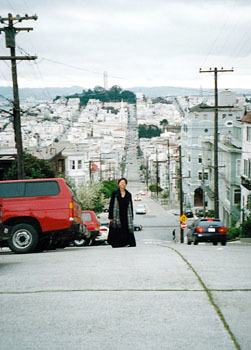 Tammay on Filbert Street. 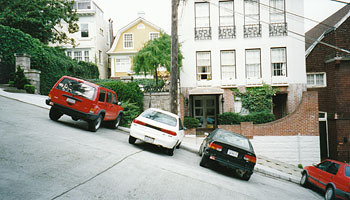 With a gradient of 31.5% it is one of the steepest streets in the world. This view of Filbert Street really shows how steep it is. 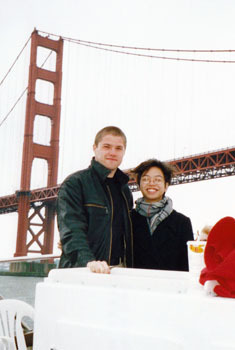 Tammay and I took a boat trip around San Francisco Bay. 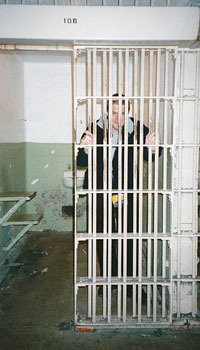 It was so cold! 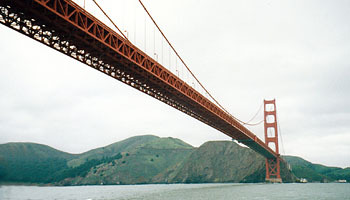 As part of the boat trip we passed under the Golden Gate Bridge. 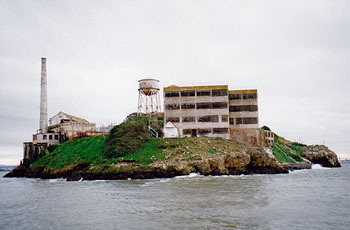 We also sailed across to Alcatraz Island and had a tour of the famous prison. 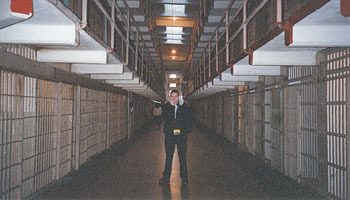 I took a closer look at cell 106. 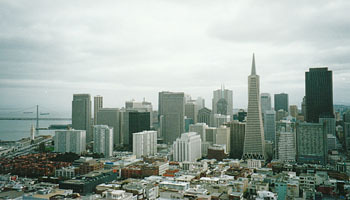 This is a view of downtown San Francisco (and the Trans America Building) from the Coit Tower, which is built at the top of Telegraph Hill. We then flew on to New York.